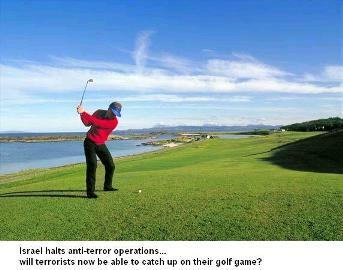 MainBlogsFundamentally FreundA Vacation for Terrorists? On the eve of US Secretary of State Condoleezza Rice’s arrival in the Middle East, Defense Minister Shaul Mofaz has demonstrated that no concession is too inane when it comes to trying to appease the Palestinians. In a development sure to bring a smile to Palestinian bomb-makers throughout the region, Mofaz told the Cabinet today that the Israeli Army was temporarily suspending all operations to hunt down and arrest some 300 wanted Palestinian terrorists. This, apparently, is intended as a “good-will gesture” toward newly-elected Palestinian Chairman Mahmoud Abbas (aka Abu Mazen). In practice, of course, all it does is give the terrorists a respite, allowing them to regroup and reorganize without fear of being arrested or tracked down by Israel. Heck, it seems they can even take the family out on a little vacation, as far as Mr. Mofaz is concerned. But adding to the inexplicable nature of this move was the other announcement that the Defense Minister made this morning – namely, that Palestinian terrorist organizations are planning to carry out attacks in an effort to torpedo Tuesday’s planned summit of regional leaders in Sharm el-Sheikh. So, let’s see if we understand this correctly. The terrorists are moving ahead with plans to launch attacks in the next 48 hours, so Israel responds by… calling off military action against them? Is this making sense to anyone out there? Because it sure doesn’t make any to me. Indeed, the message it is sending is that gestures to Abu Mazen are somehow more important than safeguarding Israeli lives. Just one more compelling reason why the government of Prime Minister Ariel Sharon needs to be sent packing. The sooner, the better.